Top Ten Tuesday is a meme hosted by The Broke and the Bookish. I'm excited to participate; after all, I make lists FOR EVERYTHING! This week's topic focuses on books that are perfect to read at Halloween. At work I have a "Spooky Reads" display which showcases many of the following books. 1. 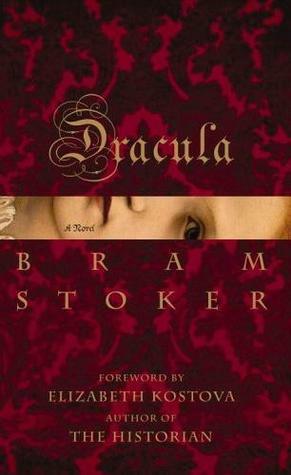 Dracula by Bram Stoker- I remember when I first read this book many, many years ago. It completely freaked me out along with the black and white movie. It was a time before vampires had cool hair and sparkled in the sun. 2. 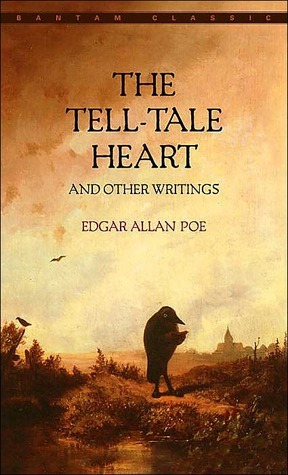 The Tell Tale Heart by Edgar Allan Poe- I just taught this short story and it never gets old. My students love this creepy tale and it's perfect to re-read at Halloween. An insane villain? A "vulture" eye? Poe is so spine-chilling. 3. Nevermore by Kelly Creagh- Even though this book wasn't my favorite, I think it would be a perfect read for this time of year. I read it during the summer and I think it wasn't as effective. The mood, the setting and the references to Poe were super eerie. 4. 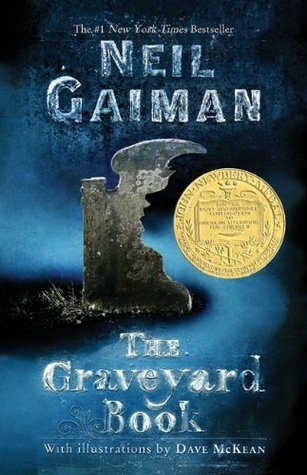 The Graveyard Book by Neil Gaiman- This is such a fun read for this time of year. Many of my students love this one. 5. 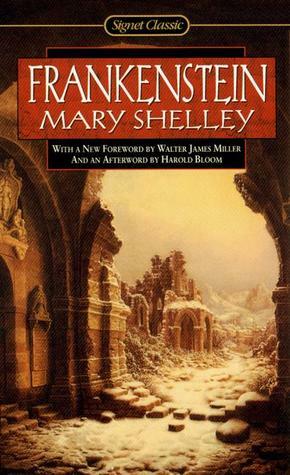 Frankenstein by Mary Shelley- I love the fact that Shelley originally wrote this for a horror story competition amongst her writer friends (Byron being one of them!) and the idea came to her in a dream. 6. 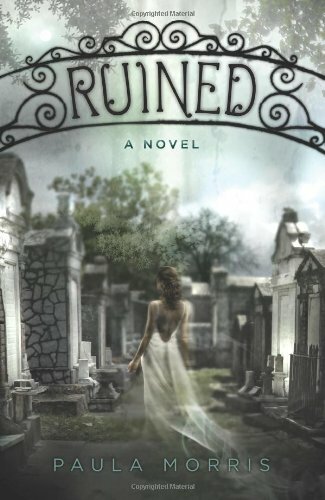 Ruined by Paula Morris- Everything about this book, right down to the ghostly cover, screams Halloween. 7. 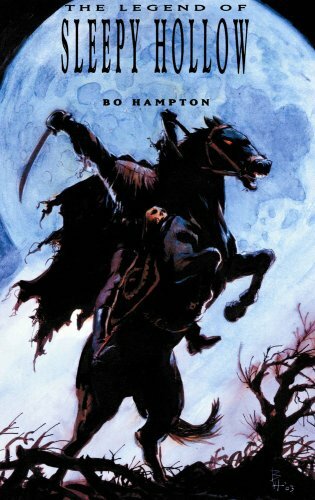 The Legend of Sleepy Hollow by Washington Irving- The Headless Horseman....need I say more? 8. 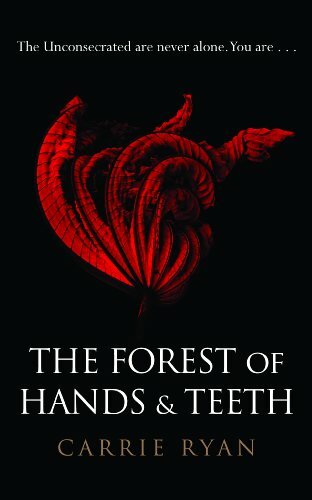 The Forest of Hands and Teeth by Carrie Ryan- This book scared the bejesus out of me. Seriously. Zombies are so scary! My next two picks are from the '80s and '90s. Do you guys remember these books? 9. 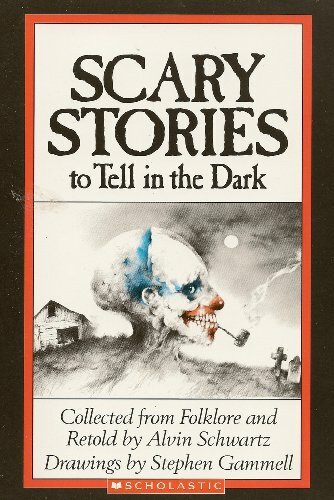 Scary Stories to Tell in the Dark by Alvin Schwartz- I remember when I first encountered this book in elementary school. My friends and I would read it at sleepovers and in turn, I would sleep with a night light on for months....err... years. Some of these stories still freak me out. Remember how horrid the illustrations were? I think they're burned into my memory. 10. Goosebumps by R.L. Stine- I remember when these books were all the rage! I still have a few in my classroom library. So, what do you think? What books do you think are perfect for this time of year? Let me know! I still haven't read Dracula. I wonder what Stoker would think of today's vampire craze. Nevermore is on my tbr list. I wish I had more time in the day to read. scary stories to tell in the dark: terrifying!!!! lol!! I need to look up The Graveyard Book. Would you say it's your fav NG? The Tell Tale Heart makes me shudder just thinking about it. It freaked me out to no end! So good though:) I adored all things Goosebumps when I was younger, I couldn't get enough of those stories! Ah, yes -- so many deliciously spooky reads! I remember reading Frankenstein around Halloween when I was in college, and I'd gotten behind on my reading assignments. I had to read the whole thing in a night, basically, and was so creeped out afterward that I couldn't sleep! Nice list! I need to read The Forest of Hands and Teeth. Christina- We definitely have a lot of the same picks. You must read Dracula sometime! Thanks for visiting! Mrs Q- Nevermore wasn't my favorite, but I know a lot of others who LOVED it. Fancy Books- Thanks for visiting! 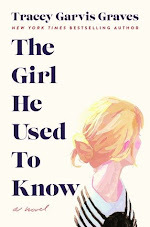 Carrie- I know, right?! I'm still scared! 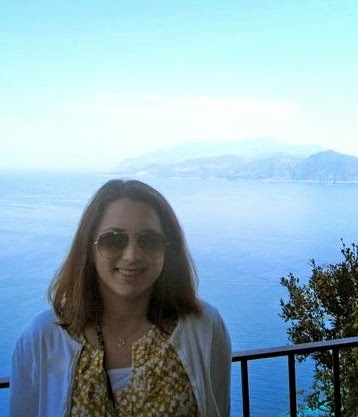 Juju- It's definitely my favorite! 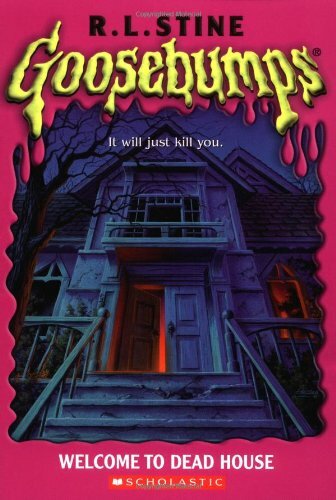 Jenny- Everyone loved Goosebumps- the covers look so old now.... thanks for visiting! Suzanne- Definitely...if you like zombie books! Thanks for stopping by!